Ahead of The Game Awards 2018 ceremony, the Far Cry Twitter account has teased a surprise world premiere. Interestingly, the tease doesn’t only announce that fans should expect a new project, which may or may not be post-apocalyptic in nature. It seems that footage from the project has also been included. Kotaku’s Jason Schreier responded to the Far Cry teaser video with a tweet of his own, saying he’s surprised the account is “spoil[ing] their own surprise.” According to Schreier, who’s no stranger to getting Ubisoft-related scoops, the new Far Cry is a spinoff game with a post-apocalyptic setting. In the replies to his tweet, Schreier clarified that he thinks this entry will be to Far Cry 5 what Far Cry Primal was to Far Cry 4. Thus, this post-apocalyptic Far Cry will likely act as an interstitial release to tide fans over until Far Cry 6 inevitably arrives. Based on the teaser video, Schreier’s claims could prove true. There are definitely apocalyptic tones underscoring both the video’s narration and its visuals. While exciting in many respects, this news may not sit well with some fans, particularly those who have been patiently awaiting a Blood Dragon sequel, the DLC standalone released months after Far Cry 3. 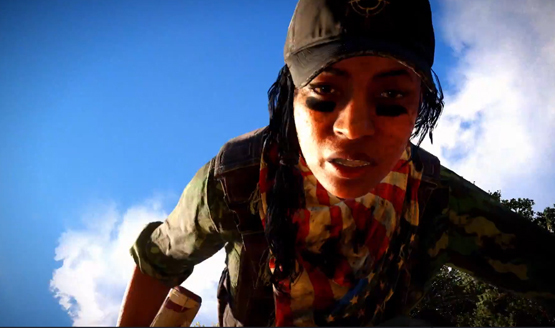 Thankfully, we’ll have official word on what’s next for Far Cry very soon. The Game Awards will premiere on Thursday, December 6, 2018.